Here’s another one of those weird albums that found their way into my CD collection through mysterious circumstances I no longer recall. 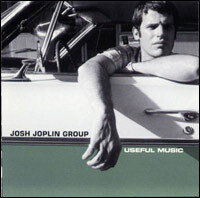 I can’t remember ever reading any reviews of the Josh Joplin Group or hearing them recommended by friends. I assume I picked the album up on the cheap either used or at my office’s semi-annual auction, because I never pay full price for a blind item.